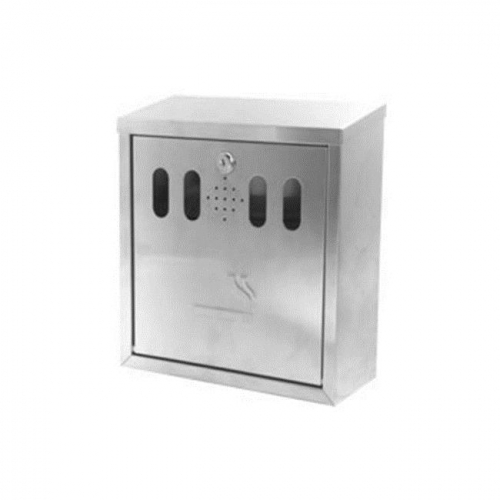 The cigarette bin is manufactured from grade 304 brushed (satin) stainless steel finish. Features an internal removable tray to catch cigarette butts. Includes fixings to mount to a wall.